Do you have questions on any topic of interest? Here you will find scientific and professional friends from other organizations and countries who are happy to help you. Contact them. 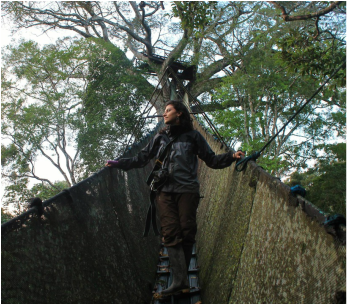 Cindy Hurtado, Peruvian biologist from the National University of San Marcos, belongs to the Center for Research and Biodiversity Sotenible. 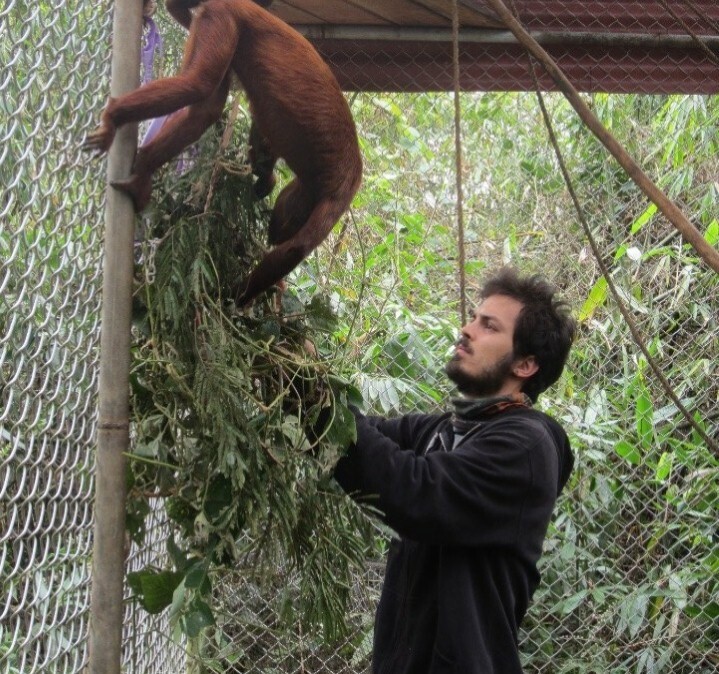 She has developed projects on the richness and abundance of medium and large mammals Cerros Amotape- National Park in Tumbes and the distribution of carnivores Peruvian CITES. In addition, it is investigating the distribution, threats and ecology of the pajonal cat (Leopardus colocolo) in northwestern Peru and on the reintroduction of the peccary (Pecari tajacu) in the Ibera Natural Reserve with emphasis on its spatial ecology. Speak English and Spanish, you can find her at www.biosperu.org or cindymeliza@gmail.com and consult her about ecology and conservation of mammals. 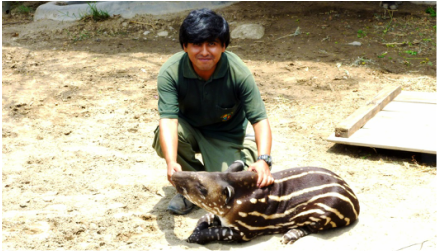 ​Floro Ortiz Contreras, Peruvian biologist at the National University of San Marcos, belongs to the Mayunmarka Indigenous Association and the ANKAWA International Organization. Develops conservation projects, socio-environmental assessment and implementation of integrated management system. 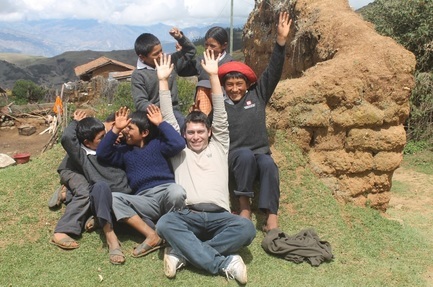 Speak Quechua, French, English and Spanish, you can contact him by skype floroortiz or his email floroortiz@gmail.com and consult him on environmental management, occupational health and safety, integrated management systems and social responsibility. 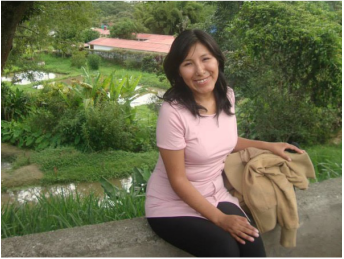 Vanessa Luna Celino, A Peruvian biologist at the National Agrarian University la Molina, she was the science coordinator of the Villa Carmen Biological Station (ACCA). She has worked for the Smithsonian Conservation Biology Institute, the San Diego Zoo and the Missouri Botanical Garden, in research and evaluation in the field of the ecology of older mammals, with emphasis on primates. Director of the Mono Choro Project, carrying out works of community conservation and environmental education in the Native Community Santa Rosa de Huacaria, in the buffer zone of the Manu National Park. Speak English and Spanish, you can contact her at vlunacelino@gmail.com and consult her about ecology, biodiversity conservation and sustainable tourism. 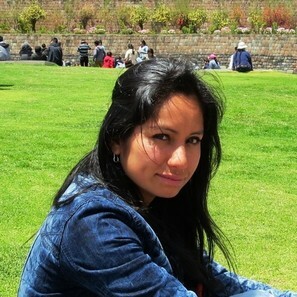 Katia Vila Mamani, Peruvian geophysical engineer from the Universidad Nacional San Agustín de Arequipa and master's degree student in Restoration of Ecosystems at the University of Alcalá de Henares (Spain). She conducted a study of the Nazca Plate in Peru and is currently working on the characterization of the structure of the rural landscapes of Peru. Speak Quechua, English and Spanish, you can contact her at katiavilam@gmail.com and consult her about seismology, cartography, habitat fragmentation and landscape restoration. Alisa Aliga Samanez, ​Biologist at the Federico Villarreal National University (Perú). 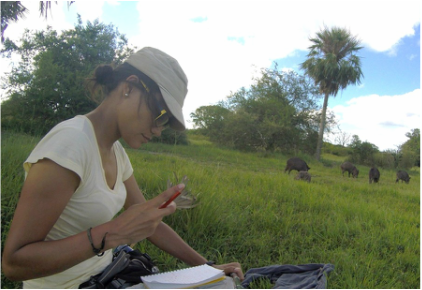 She did her Masters in Biological Diversity and Environment at the University of Málaga (Spain) and her thesis on modeling the distribution of primate species from Central Africa and San Martín (Peru) delimited by geographical barriers, is part of the Biogeography, Diversity and Conservation Group (Department of Animal Biology of the University of Málaga) . 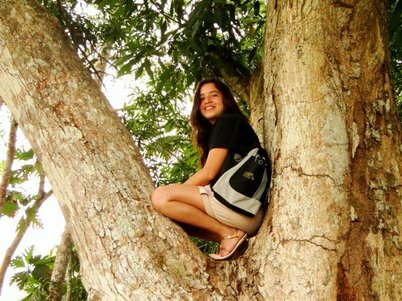 Her undergraduate thesis was on the study of the food ecology and behavior of Ateles hybridus in the Caparo Forest Reserve (Venezuela) and started an environmental education program in the surrounding schools. In Peru participated as researcher in the Association Mono Tocón Project (P. oenanthe). You can contact her at alisa.aliaga@gmail.com to consult her about these issues. Carla Madueño Florián. 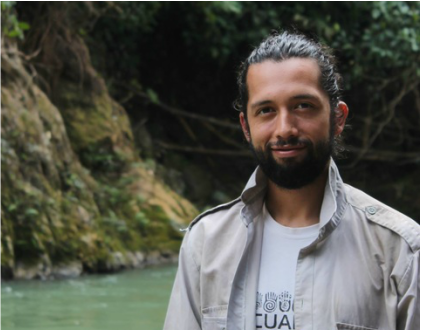 Peruvian biologist graduated at the LMU University of Munich, Germany and currently pursuing a Master degree in Global Change Ecology at the University of Bayreuth, Germany. Awarded by the Global Landscapes Forum as Youth Ambassador 2018, I am very interested in climate change research, tropical ecology, biodiversity conservation and ecosystem services management in Peru. My upcoming master project will quantify carbon sequestration potential in a protected area in Peruvian primary rainforest for an informed decision making and land management (more details to come). 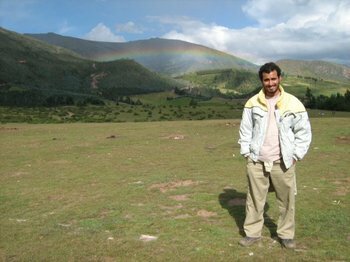 I have had field work experience through internships and schools in diverse areas: biogeography, remote sensing, behavioural ecology and plant biology between Canada, Germany, Spain and Peru. I speak fluent English, German and Spanish. You can contact me anytime at krla_smf@hotmail.com and consult me about tropical ecology and research for climate change mitigation and adaptation.